According to a new study, Preeclampsia is associated with an increased risk of later dementia. 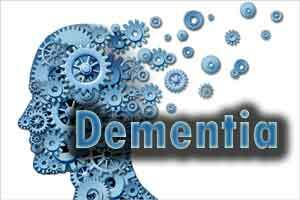 The probability of vascular dementia, caused by the reduced blood supply to the brain due to diseased blood vessels is enhanced after Preeclampsia. The findings of a large study have been published in The BMJ today. Preeclampsia is a pregnancy complication characterized by high blood pressure and signs of damage to another organ system, most often the liver and kidneys. It usually begins after 20 weeks of pregnancy in women whose blood pressure had been normal and affects about 3-5% of pregnancies. Studies in past have shown that a history of pre-eclampsia is associated with an increased risk of cognitive impairment, but these studies had several limitations and results have been inconsistent. In the present study, researchers at the Statens Serum Institute in Denmark tried to compare the risks of dementia among women with and without a history of pre-eclampsia. By using national medical registers, they analyzed data for more than 1.1 million women in Denmark who gave birth at least once between 1978 and 2015 and had not been diagnosed with heart disease, heart attack, stroke, heart failure, diabetes, or dementia before the first birth. In the study, most women enrolled (95%) were under 45 years of age at the start of follow-up, and mean age at the end of follow-up was 49 years. The researchers found that women with a history of pre-eclampsia had more than three times the risk of vascular dementia later in life compared with women with no history of pre-eclampsia (1.44 cases per 100,000 person-years for women with a history of pre-eclampsia compared with 0.47 cases per 100,000 person-years for women with no history of pre-eclampsia). This association was particularly strong for late-onset disease (65 years and over) than for early-onset disease (less than 65 years) and persisted even after taking account of other potentially influential factors, such as diabetes, high blood pressure, cardiovascular disease, and obesity. In contrast, a history of pre-eclampsia was only modestly associated with the risk of Alzheimer’s disease and other/unspecified types of dementia. This is an observational study, and as such, can’t establish cause, and the researchers cannot rule out the possibility that some of the observed risks may be due to other unmeasured factors. Asking about a history of pre-eclampsia “could help physicians to identify women who might benefit from screening for early signs of disease, allowing for early clinical intervention,” they add.